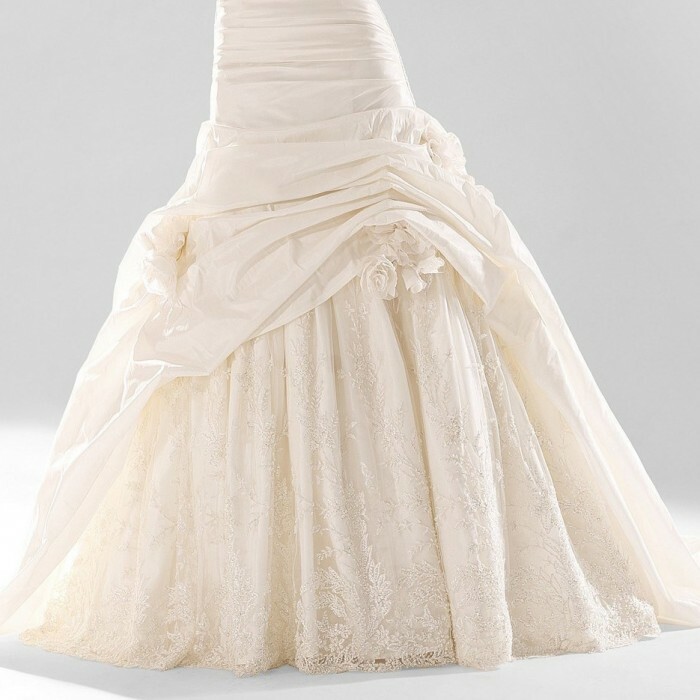 Royal taffeta strapless a-line gown with sweetheart neckline, slight drop waist, pick up skirt. Dress is available in ivory color and in size 38 for immediate shipping. Note that the dress could be pre-ordered in different sizes and white/ ivory color.